Das SureStay Hotel by Best Western Manning ist ideal in Manning Stadtzentrum zu finden. Erleben Sie ein schöner Aufenthalt in der Nähe von alle Sehenswurdigkeiten. Bestpreisgarantie und exklusive Angebote. Diese gemütliche Anlage mit 45 Gästezimmern befindet sich an der Abfahrt 119 der Interstate 95. Das SureStay Hotel by Best Western Manning bietet entspannte und schön eingerichtete Gästezimmer, jeweils ausgestattet mit kostenlosem drahtlosem Internet (Wi-Fi), Kaffeemaschine/Wasserkocher, Mikrowelle und Minikühlschrank. Dies ist ein reines Nichtraucherhotel. Haustiere sind gegen eine geringe Gebühr erlaubt. Weitere Informationen erhalten Sie beim Hotel. Genießen Sie jeden Morgen ein kostenloses komplettes, warmes Frühstück. Dieses SureStay Hotel by Best Western fördert aktiv umweltbewusstes Verhalten im Hotel. Reservierungen von Anwohnern, die nicht mehr als 48 km vom Hotel entfernt wohnen, sind nicht möglich. Exit 119 off of route 95 holds a hidden value. This little gem was inexpensive, offered breakfast, had convenient parking, wifi and an incredible jacuzzi suite to soak out the weariness of travel. Mariachi Tex Mex was right around the corner offering an inexpensive, delicious dinner. Quite the unexpected find. "Very Cold 1 night stopover"
When you get off 95N turn right the Hotel in on the left behind Sonny's restaurant. Two story hotel.Room was very clean. Bed comfortable, pillows soft, kinda flat. Breakfast was good, the usual and coffee decent. Quick off and on to get back to 95. Thank you for choosing to stay with us, were pleased to see that you enjoyed your stay with us. If you are ever back in the area, please don't hesitate to come stay with us again. Once again thank you. Great place: clean, nice people, up to date tech, well maintained! Absolutely everything worked. Lots of power connections, usb and AC. Great beds with nice gooseneck lamps. Excellent TV reception and channels. This place is very homey. Staff are very friendly and helpful. Nice to park your car right by the room to unload luggage. Was great for my dogs. Stop here every year on my way home from Florida. It was a real find for us. Easy on and off 95. This is easy right off I-95. Tucked away from the freeway. Nice and quiet. Very nice staff. Clean rooms and well priced. Good Mexican restaurant close by too. Can't go wrong here. Good breakfast offerings too. I like the water pressure too. So very happy you enjoyed your time at our SureStay hotel of Manning.It means a lot when you take your time to let us know we are doing our job and our guests are pleased .We really look forward to seeing you again. "First Time At a Sure Stay"
We stopped here on our trip from Florida to New England. It is a very nice motel. It has outdoor entrances which is fine with us. It was very quiet and there are several restaurant choices near the motel. It was a very nice room with everything we wanted. We found their breakfast selection was pretty standard. Front desk person was cheerful upon our check-In. We will stay at this facility again when we go back to Florida. Thank you for choosing to stay with us, were pleased to see that you enjoyed your stay. If your ever back in the area, please don't hesitate to come stay with us again. Once again thank you. I really enjoyed staying at this hotel. It had recently been renovated. I just have two small complaints breakfast is only served for 2 hours and the walls are very thin. Other than that it was a great value ! Thank you for choosing to stay at our SureStay Hotel. Your feedback is very important to us. Our breakfast hours are from 6am until 9am. Sorry for the misunderstanding. Were pleased to see that you did enjoy your stay here with us. If you are ever back in the area, please don't hesitate to come stay with us again. Thoroughly enjoyed our stay on our way down to Florida so I decided to stay on my way back up! We will always stay at SureStay Manning, SC from now on. Highly recommend this hotel to anyone passing through. Convenient to 95, super clean and safe, close to everything you need. Thank you for completing the survey, Were happy to see that you enjoyed your stay with us, if your ever back in the area, please stop and stay with us again. Once again thank you. Nice clean room and comfy bed! 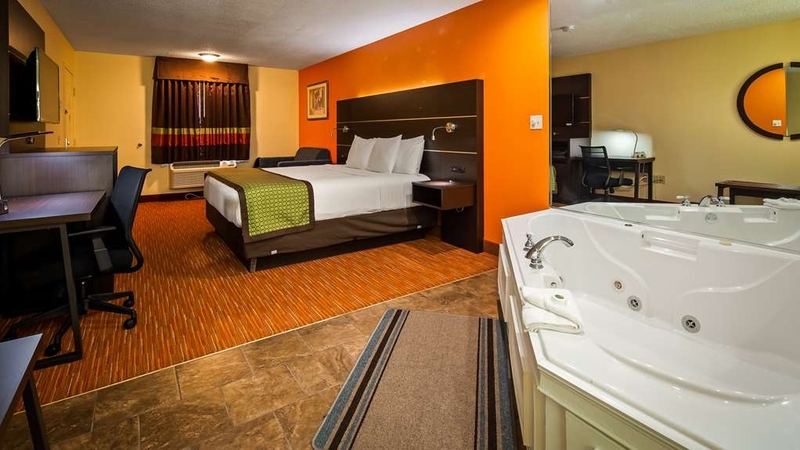 Had a small issue with the jacuzzi tub but it was a great room and we were tired from driving so it was nice to have a great place to lay your head down after a long day driving!!! Thank you for completing the survey, Were happy to see that you enjoyed your stay with us, if your ever back in the area, please stop and stay with us again. I was very pleased with the room. It appears to have been recently remodeled. 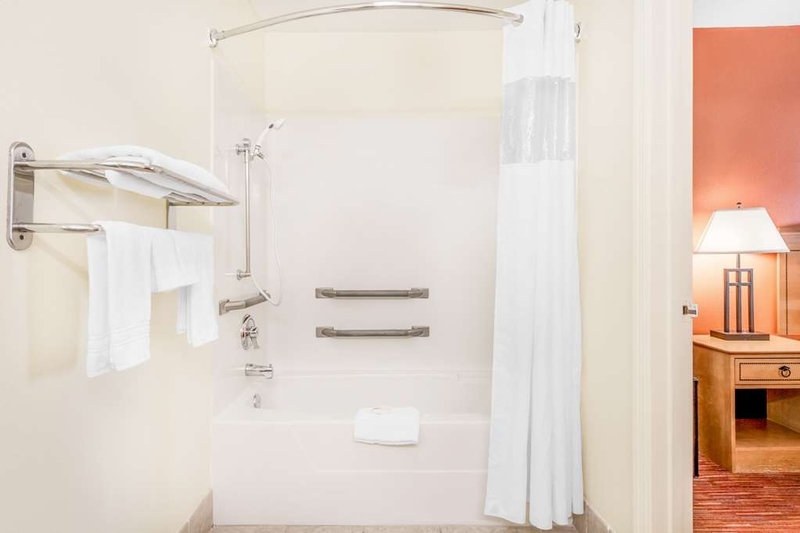 The decor was newer, the shower/tub was new and clean. The bed was comfortable and the linens clean. There was a small microwave and fridge as well. The location was very convenient to the highway but not so close that you could hear the traffic. It is located near several restaurants and a WalMart is nearby. The breakfasts was included and was pretty barebones but it was a nice addition. The service was prompt and friendly. Good value for the price. 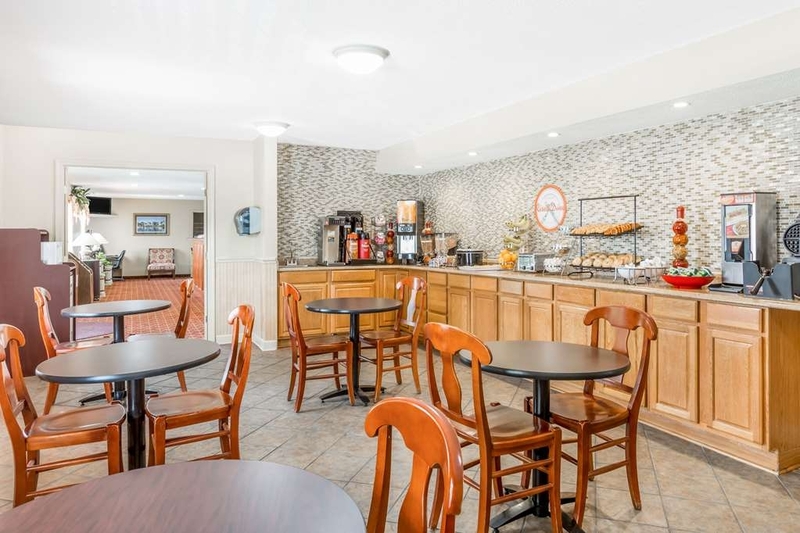 "Friendly, clean, quiet hotel just off the highway"
Welcoming staff both at midnight when we arrived, as well as in the morning breakfast room and check out. 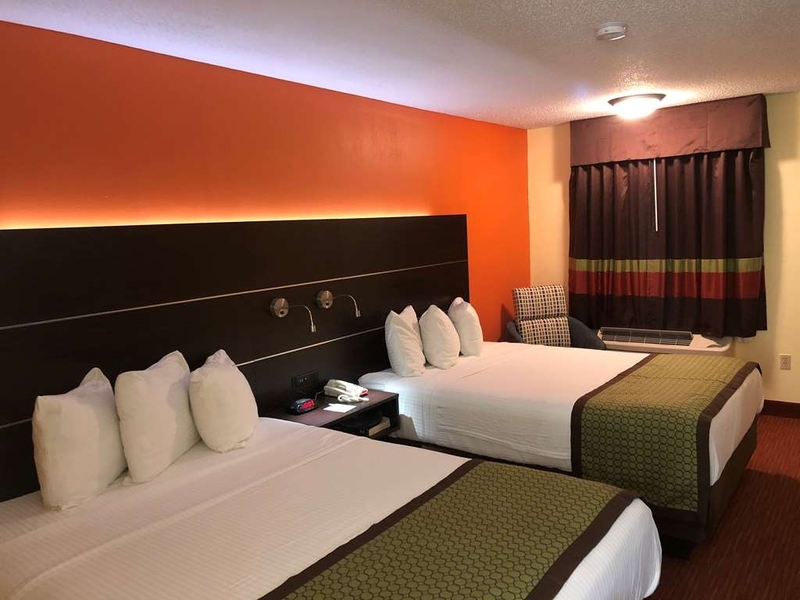 All around great staff and wonderful stay!Beautifully renovated room, nicely quiet, away from the highway and road noise. We will definitely stay here again! Thank you for choosing to stay with us, Your feedback is very important to us. Were pleased to see that you enjoyed your stay with us. If you are ever back in the area, please don't hesitate to come stay with us again. Had stayed at many Best Westerns before but never a SureStay. Found this property to be an excellent value with a great staff and comfortable, generously sized rooms. Would stay again here and would certainly try another location. 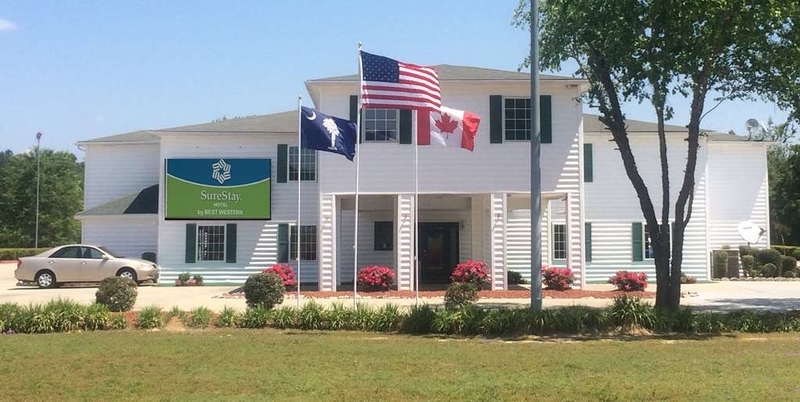 SureStay by Best Western of Manning SC is so pleased that you enjoyed your stay. It means a lot to our staff to be recognized for their work and know that guests were happy. Please come by again when you travel I-9t through South Carolina. 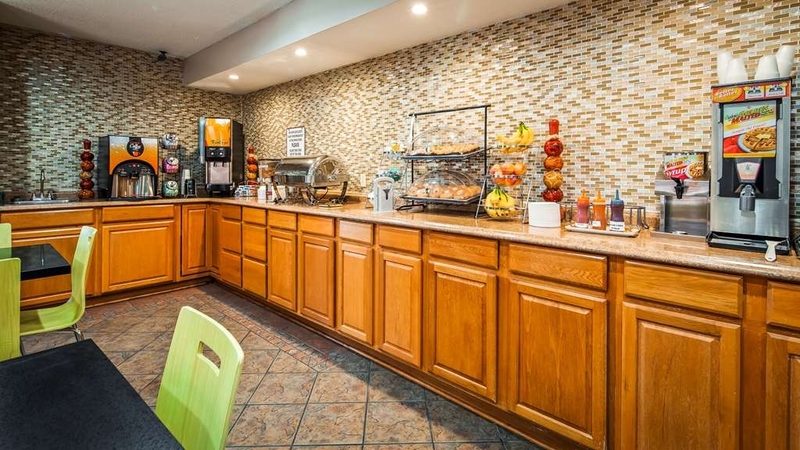 The room rates are very reasonable and an adequate breakfast to start the day is included. This is an older hotel. 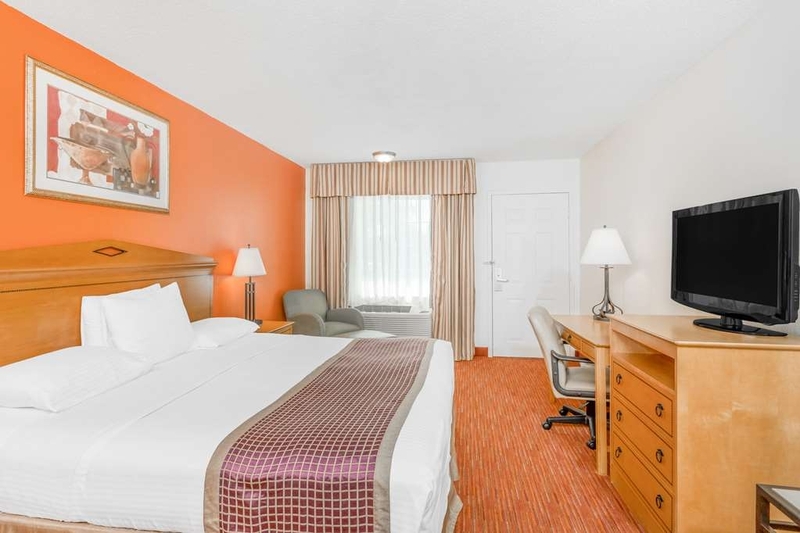 The room furnishings, with the exception of the toilet and shower area, have been updated with modern lighting, newer flooring, and furnishings. The rooms are very clean. The toilet and shower area could use updating but they also very clean. 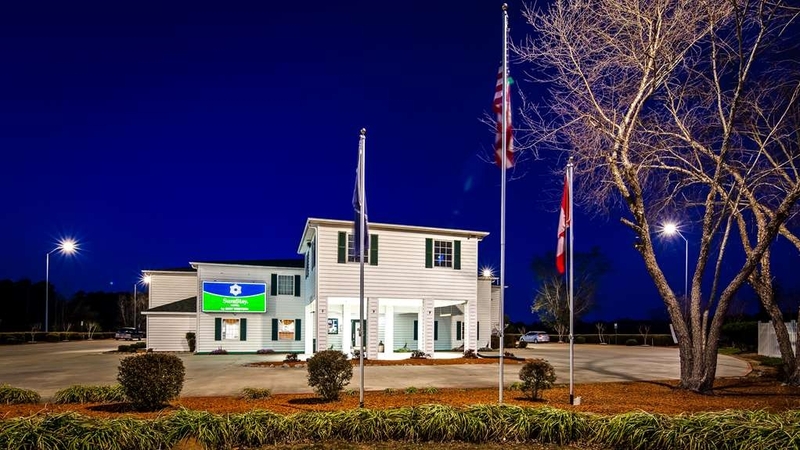 Thank you for choosing to stay at the SureStay in Manning, SC. Your feedback is very important to us. Thank your for the kind comments, were still doing things to improve our guests visits with us, If you are ever back in the area, please don't hesitate to come stay with us again. 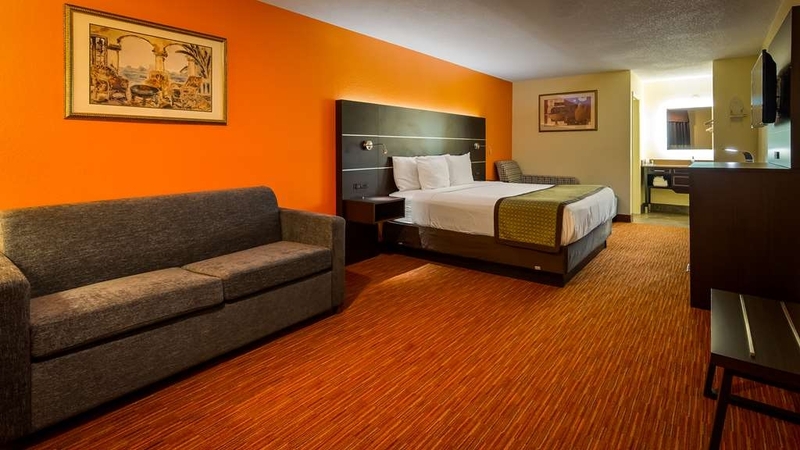 "New to the BestWestern Family"
We normally stay a little further south on I-95, but decided to try Manning SC. This motel was delightful. 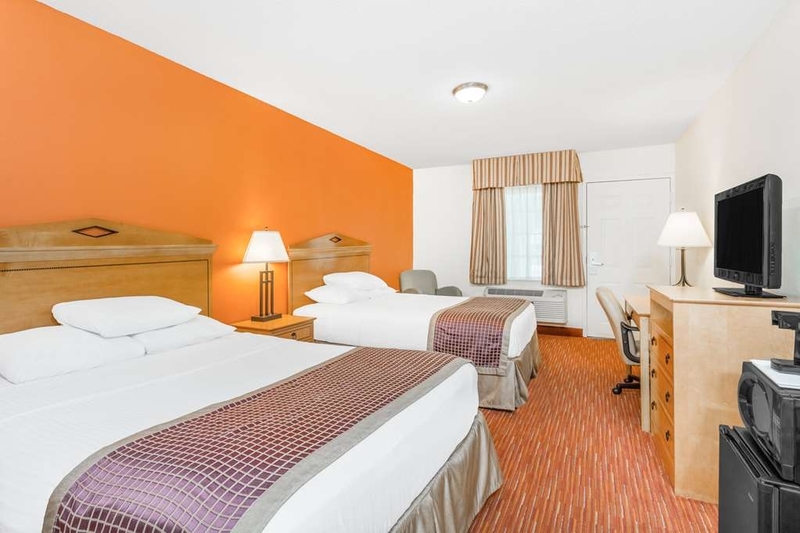 Newly renovated in October of 2018, it was a great new place off I-95 for us to pull off the highway and have a restful night. Although the HBO channel did not connect, the tv was large and clear. The bed was comfortable and plenty of hot water for your shower. The only issue was the water did not taste very good. To chemical in its taste. Very much liked the newspaper at checkin! Thanks. 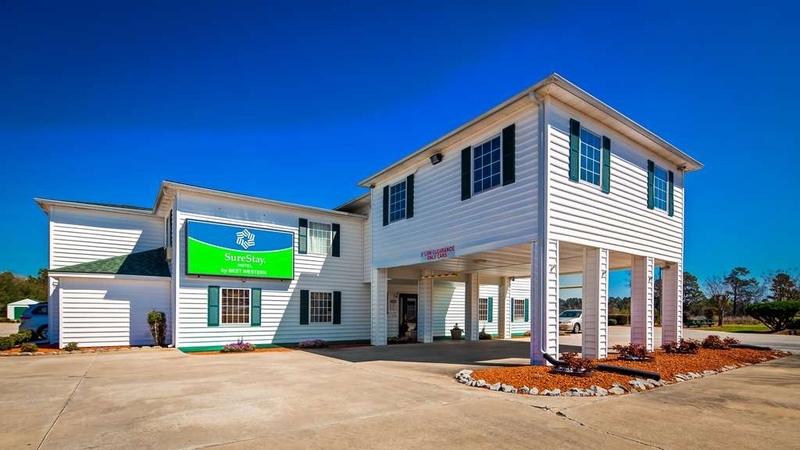 Thank you for choosing to stay at our SureStay hotel located in Manning, SC. Were pleased to see that you enjoyed your stay.If you are ever back in the area do not hesitate to come come with us again Once again thank you for the kind comments. We've stayed in many hotels along I-95 and this has to be one of the best. From the time we stepped into the lobby and saw Tuck the baby turtle and met the courteous lady behind the desk, and then the clean, comfortable room ending with a delicious breakfast, everything was perfect. "COMFY BED & COLD AC"
We stayed here instead of the hotels in the area because they accept pets and we have a small dog. I will say that it is VERY clean and the bed was seriously comfortable, which was surprising. We also enjoyed the super cold AC. I would stay here again. The breakfast looked a bit lacking, so we didn't partake in that. Thank you for taking the time to do a guest review. We are pleased to see that you enjoyed your stay with us. We will be looking forward to seeing you again if you are ever in the area. Again, Thank you for staying at SureStay Hotel of Manning, SC! We arrived on a Friday evening after a 9-hour drive to be told by the receptionist that we did not have a reservation. 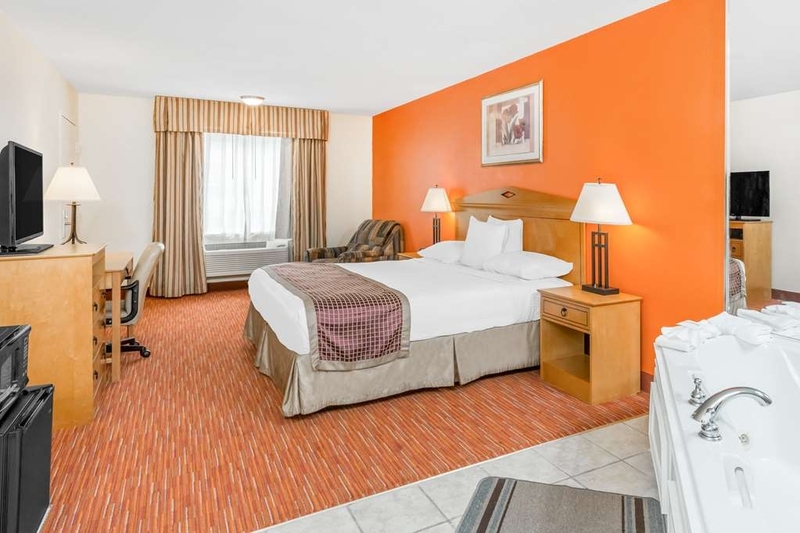 When we produced the reservation confirmation details that we had received from Best Western just the day before, she told us that it was not in her system--but they did have rooms available at a higher price than our comfirmation price. We asked to see the manager, who was extremely cold and arrogant--his response was that we had made the reservation through a "third party" (Best Western website) rather than directly with this hotel, and that he did not have to honor it even if in his system. When I told him that he was obliged to do so, and pointed to a sign on the wall saying that the hotel aims to make customers happy, he flew into a rage, said he was under no obligation to provide a room, ordered his receptionist not to give us a room, and stalked off. He did this in front of other customers in the lobby, all looking on incredulously. We wound up going to another hotel, upset and tired, and called Best Western Customer Care to report this incident. They confirmed that we did have a reservation, and that the hotel was obliged to honor it. The agent apologized profusely. Thank you for doing a guest review. We sincerely apologize for this situation and will look further into it. In for an overnight. We requested a king on the ground floor and all she had left was a handicap room Since it was late in the day when I made reservation I'm sure that's why she offered it to us. The room was roomy, clean, well decorated and just behind the breakfast dining area Bed was very comfortable. We could hear the people next door talking but could not hear what they were saying, so I assume the insulation is inadequate. Not enough to keep us from getting a good nights sleep In the morning we could hear the women getting breakfast ready. We would stay again if ever in the area. Thank you for taking time to complete our survey and choosing to stay with us. We are so pleased that your stay at Sure Stay of Manning, SC met and exceeded your expecttions. Your comfort is most important to us. I do apologize about the noise. Once again thank you. Stayed one night on drive to FL and highly recommend. We had two queen bed room for family of four (13 & 10 year olds). The room was clean and newly renovated with multiple USB points. Beds were comfortable. Breakfast buffet with mix of hot and cold items. Staff friendly. The building is set back from the road, so very quiet. Great value for the price. Would definitely stay again. Thank you for the kind comments. Were pleased to see that you enjoyed your stay. If you are ever back in the area don't hesitate to come come with us again. Once again thank you for choosing to stay at our SureStay of Manning, SC. 6/28/18 Traveling to FL w a small dog and found this hotel—what a fantastic find! Very clean, new fixtures, free hot breakfast, private entry to room, friendly staff. Would definitely stay here again! Thank you for taking your time to complete survey and choosing to stay at our SureStay of Manning SC. Your opinion is very important to us and helps us to improve our guest experience. We hope to see you again. Usually stop in santee sc but decided to try Manning. The hotel was very clean the staff were friendly and very helpful. Great price printed a coupon so price was even better. Breakfast had a lot of choices.i would recommend this hotel. Only thing the hotel should do is put some chairs around so when weather is nice you could sit outside . We did put the chairs in the room outside so did others but that was a pain. I could not rate service sleep etc web site wouldn't let me. Thank you for choosing to stay at our SureStay in Manning, SC. Were very pleased to see that you enjoyed your stay with us. We do have a sitting area for guest outside at the front of the hotel, its fairly new. Im very sorry you didn't see it. Once again thank you for choosing to stay at our hotel. Ok, the only reason this is not five stars is because I have stayed at places like The Four Seasons and similar super high-end hotels. It doesn't quite equal that kind of experience, but the VALUE is definitely FIVE STARS. The entire facility is nicely renovated and well-kept. Small details that I tend to notice such as dented lamp shades or missing curtain hooks or dirt in the corners were ABSENT. 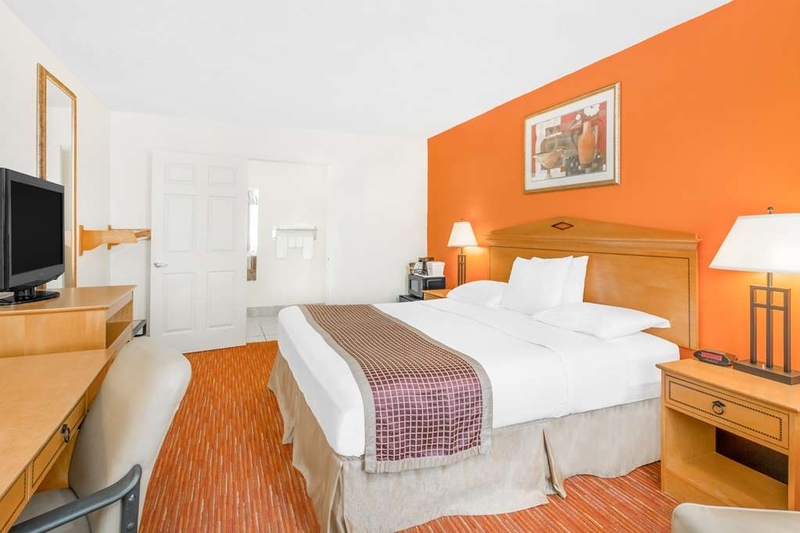 This hotel is truly well-maintained, thoroughly refurbished and is a bargain for the price. The owners clearly have an eye for detail. I think my room was better than that found in an average Hampton, Hilton, or upscale traveler hotel. Certainly a BIG cut above what I usually find on the road when I need a pet-friendly place at 1 AM. The pet fee of 20 is higher than most, but my room had spotless new carpets. Most pet-friendly rooms have some sort of solid surface floor. My tired feet appreciated the rugs. The linens on the bed were clean and of superior quality. There were USB outlets EVERYWHERE, things were so modern. And the flat screen TV actually tuned to hi-def stations - I hate it when hotels have hi-def screens and old, low-def programming. 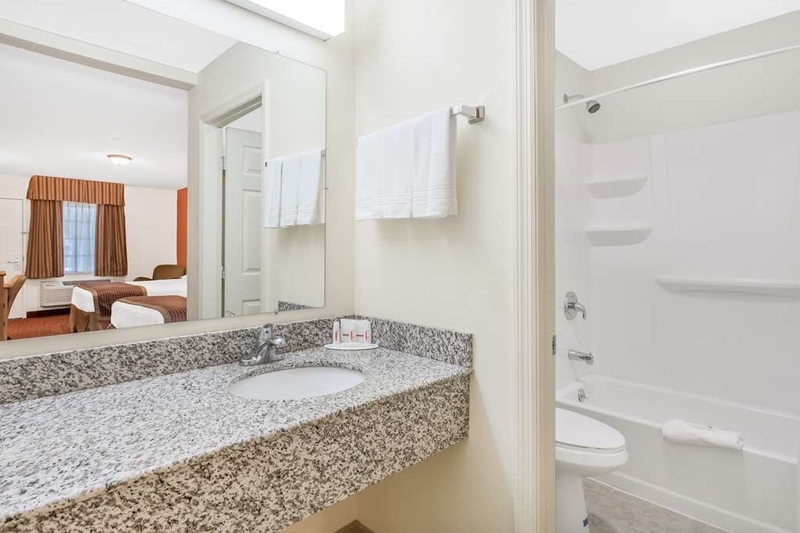 Although it was originally an older hotel, it is TOTALLY brand-new looking - even the bathrooms had been completely gutted and are also much better than an average refurbished hotel. The breakfast was a hot and cold buffet, comparable to a Hampton breakfast (cereals, danishes, eggs, sausage, fresh oatmeal, etc. ), along with a selection of juices and milk, but far less expensive. The coffee was actually good. The staff was friendly - even though you weren't supposed to leave the buffet with food, I was cheerfully allowed to bring a small dish of eggs for my dog to in which to hide his medicine and give him a treat for the long car ride ahead. The staff were also knowledgeable, and helpful, even though I arrived very late at night. Ever try to call a front desk after midnight to see if there are rooms? Unlike most experiences I have had doing that, here the phone was answered promptly and cheerfully. I also liked that the hotel was located far back from the road, as it made it easy to walk my dog, and was quiet. It also helped that the rooms were well-insulated from outside noise, so I had a good, undisturbed rest. I HIGHLY recommend this hotel to travelers, with or without pets. I will DEFINITELY return the next time I drive down I-95. Thank you for choosing to stay at our SureStay property in Manning, SC. Also thank you for your kind comments. 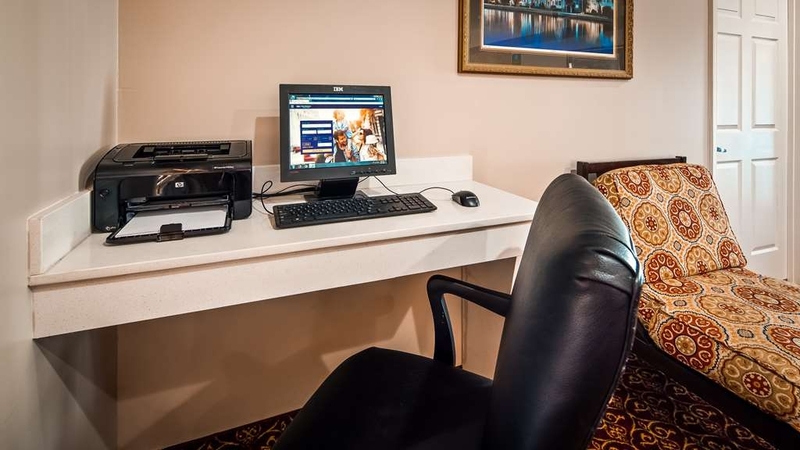 We strive to make sure your stay is as pleasant as possible. Were so glad that you noticed our improvements.We certenly hope to see you again. Thank you for staying with us and leaving feedback. Were very happy to see that enjoyed your stay. Wasn't expecting much at this price. The best room I've stayed in, At this price along 95. Traveling back and forth to Florida for 20 years. All newly remodeled room. Great bedding, comfy bed. USB outlets and plugs everywhere. Didn't have to search behind furniture to find a plug only to discover all the outlets were already had plugs in them, Very nice vanity and super new lighted mirror. Clean and newer tub with good shower. A very nice room. Sure to stay again on my next trip north from Fl. Thank you for completing survey. We can learn many constructive things from our guests. Once again thank you for choosing to stay at our hotel and completing the survey. "Great find for the price"
My husband and I stopped here for one night. It is an older hotel but it was clean, the staff was friendly, bed was pretty comfortable other than the pillows, and breakfast selection was decent. We would definitely stay here again if in the area, especially for the price. Thank you for your comments and choosing to stay at our hotel. We hope to see you again. "Clean, comfortable place to stay"
We stayed here the night of April 4th, on our way back to Canada from Florida. 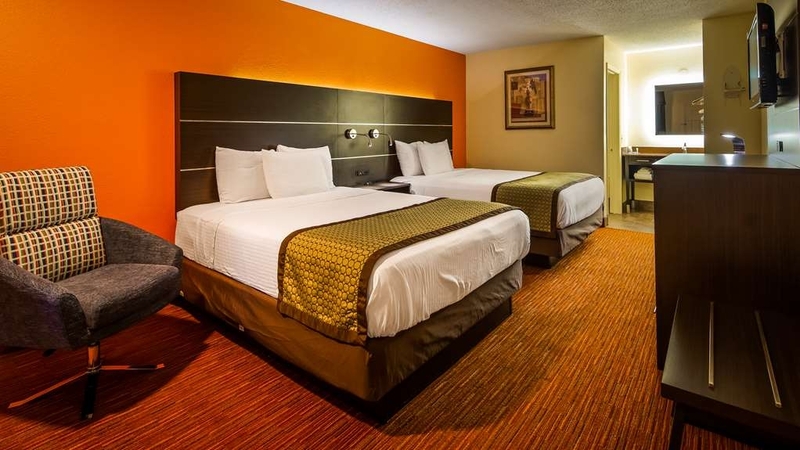 It was immaculately clean, the bed was very comfortable and we enjoyed our stay. The coffee machine has individual sterile packs of coffee which also double up as the tray that goes into the machine. A very nice feature, since there are no bacteria from previous usages! Breakfast in the morning was good. "This sppearsa to be an old Howard Johnson's renovated." This motel , although older, had been upgraded with great IT outlets. It was very clean and great beds, There were a lot of fast foods places handy, but we could not find a nice restaurant. The breakfast was adequate but rather difficult to find your way around, many of us could not find napkins and other things that would have made it a better experience. 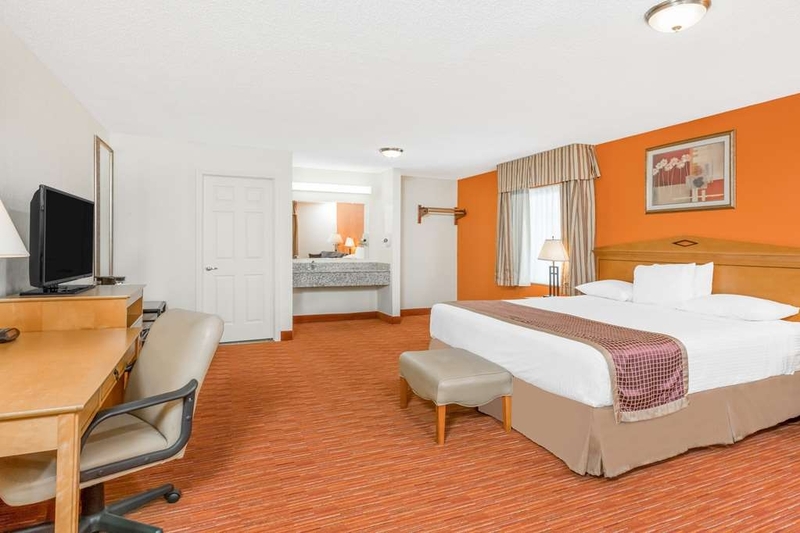 Found this hidden gem through a referral from an already fully booked Best Western nearby. It was refreshing to stay at a smaller location, but still have all the ammendities. Front Desk staff was so friendly, pleasant & helpful. Couldn't of ask for a nicer room & felt safe there. Large parking spaces & breakfast buffet included. The price was very affordable & I will return again. We are so pleased that you foud our Manning, SC SureStay. and that you so enjoyed your visit. Our guests are very important to us and the fact that you took your time to write a note sure means a lot to us Thank you for staying with us and we hope to see you again. We hit bad weather traveling down I-95 and stopped in Manning SC for the night. We lucked out and found a room at the Sure Stay by Best Western. Being unfamiliar with the name, our expectations weren't very high but to our suprise our stay was great! The desk clerk, Oprah, was a rock star and made us feel right at home. She even gave us tips on where to go for dinner and directions to the nearest Walmart for forgetten items. Room was nice and clean and the price was unbeatable. "Sure you may stay @SureStay"
Brand new or fully renovated place. Everything we need for a short stay was there. Friendly personnel. Breakfast was included, but available only for early birds. Nothing to complain about, however pillows were really uncomfortable for us, as we prefer “fluffy unicorns” to sleep on. We hadn't tried this chain before but as it was BW affiliated we decided to give it a try. We were pleasantly surprised. The location I\\s great, just off I 95. The breakfast was very good with an attendant there most of the time being engaged with guests and keeping the breakfast area stocked. The lighting in the room was quite hi-tech and effective. Room amenities were very good. The tub was quite slippery and no additional tub mat was there. The area around the door knob/locks needed a good scrubbing. Also, there appears to have been an outdoor pool area, at one time, but the pool has been filled in and no longer there. Would stay here again if in the area. 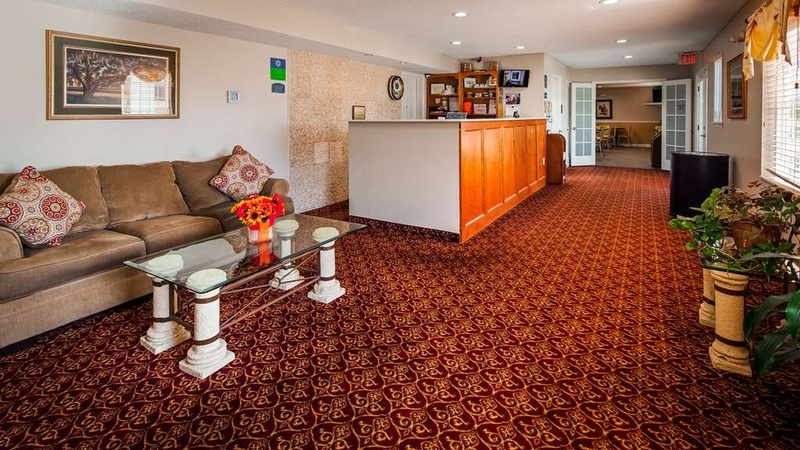 Highly recommended--pet friendly, beautiful suite. May need to book in advance as there are only 45 rooms. 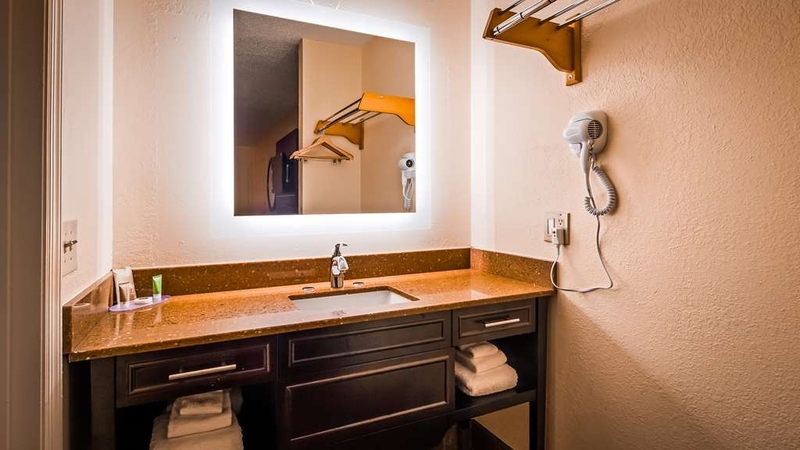 Only negatives--lack of any type of light fixture over sink which made shaving impossible. Also, on reservation form 2 days in advance, requested ground floor room due to need to walk the dog--front desk denied receiving this info and we were given 2nd floor suite. Thank you for your kind comments and we are glad you enjoyed your stay. Your reservation requested a suite,suites are located on the second floor. So that may help to explain the issue of why your were given second floor room. Please feel free to call hotel first to make your reservation so we can accommodate your request. Very clean, we got a suite with 1 king bed to stay in on our drive down to Florida from New York. Reasonably priced and plenty of places to eat around! Room service knocked on our doors in the morning and brought fresh towels and more shampoos because there was more of us than usual in a 1 bedroom. Only stayed for a Night but they were very accommodating and sweet! 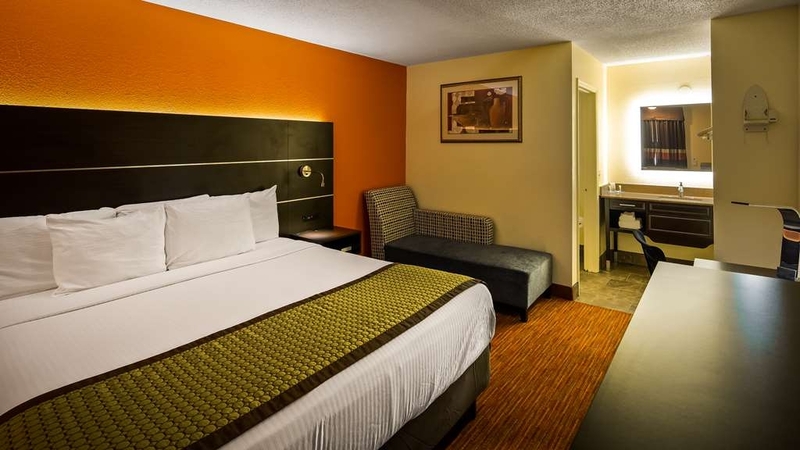 Quiet room, with a TV, mini fridge, microwave, king bed and pull out couch! Bathroom was huge with beautiful lighting and very clean. We didn't drink any coffee but it was there to make along with shampoos, soaps, and a shower cap! We would definitely come back! I booked this hotel because it was associated with Best Western. The person checking us in was very friendly. It is a pet friendly hotel and since I am allergic to dogs I asked not to be next to a room with an animal. Our room and bathroom was newly remodeled and had very good lighting. We went out to dinner and upon our return two doors away from our room was a barking dog by the window. The owners were probably out to dinner too and didn't realize that their dog would continually bark. Otherwise our stay was fine. Breakfast in the morning was good and as I said before the personnel was friendly and accommodating. Thanks for reviewing our motel. We are a pet friendly facility as you noted, but we certainly do not want our guests disturbed, so we do apologize for your inconvenience. Hope to see you again. I had made reservations on January 1st letting them know that I needed a first floor room. Our dog cannot walk up the stairs. We arrived in February and were told that they didn't have ANY rooms on the first floor. I was very upset and had to contact Travelocity, the agency I booked through. The women that worked for Travelocity did make arrangements for us to get a first floor room. In other words, we were lied to by the hostess for Best Western. The room that she gave us was very disappointing. My husband had to tinker with the lock to get it to work, the furniture was old and damaged and there was a cigarette burn on the drapes. We did put up with it for one night but won't go there again. I was told the manager wasn't there when I know that he was. Can one really believe what they have to say? Dear Ms. Nagle, We sincerley apologize for any trouble you experienced. I notice by your reservation that you were in a handicapped room, and the only rooms of that nature are on the first floor, so as well over a month has passed I am unable to thoroughly investigate exactly what occured. Regardless you were not happy, and for that we do apologize. Renovations are almost complete at our property and we hope you will give us another try. "Great overnight stop enroute to Florida"
We arrived later than we expected. Front desk clerk was wonderful. It was nice to be able to park in front of room since we were traveling with our Boston Terrier. Room appeared to be recently remodeled. They thought of everything for travelers convenience. Lots of plugs to charge your electronics. Night light. Comfy bed. Quiet location. Very happy with this hotel. We thought we would try this hotel and so pleased we did. Excellent rooms, clean and modern. The breakfast consisted of scrambled eggs and bacon and the normal other bits and pieces, cereal, porridge, waffles egg. Staff very nice and helpful. They have a washing machine and a dryer 1.25 each which is excellent for travellers. Would thoroughly recommend it. We have stayed a few times in Manning on our drive from NY to FL. We stayed here when this was a Howard Johnson. They have greatly improved the place and made some nice renovations. Nice bed, bathroom,TV, fridge and microwave. Good, bright, clean breakfast room. All around good deal. "Nice Budget Friendly Place to Stay"
Very Nice Budget Friendly place to stay. 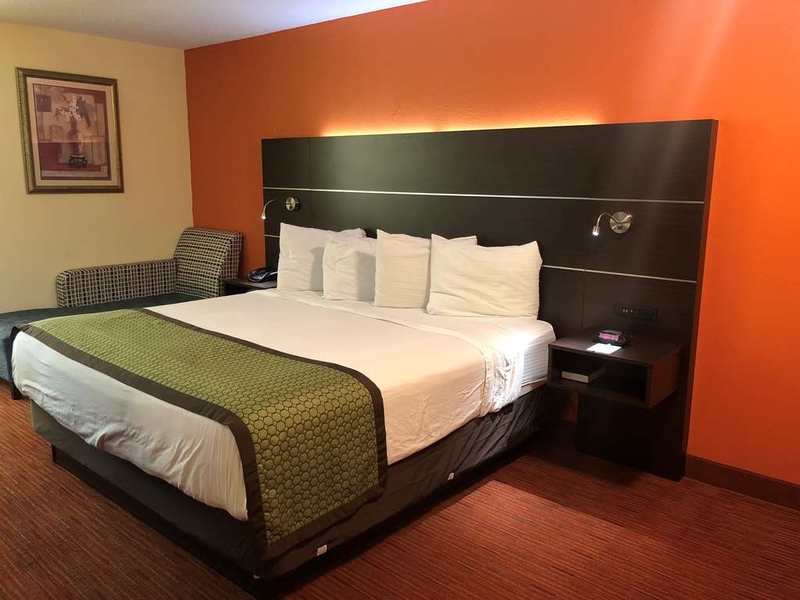 Close to I-95, Restaurants and gas stations are nearby, Room was a nice size and nicely decorated.good condition all things worked and Clean.the morning Breakfast wasgood. "Many POSITIVE things about this HOTEL"
I am glad I stayed at this Hotel BEFORE I read some of these reviews, as I did NOT find it as BAD as the reviews indicated. If you want to know about a Hotel's policies, READ the current profile of the OWNING CHAIN, (Best Western) before making a reservation. You can not arrive anywhere without knowing the policies and expect them to BEND to suit you. Do YOUR HOMEWORK. IF you want a brand new Luxury Hotel, then you need to go to a Cambria, or Crown Plaza. I found the building and grounds to be very clean and well groomed. 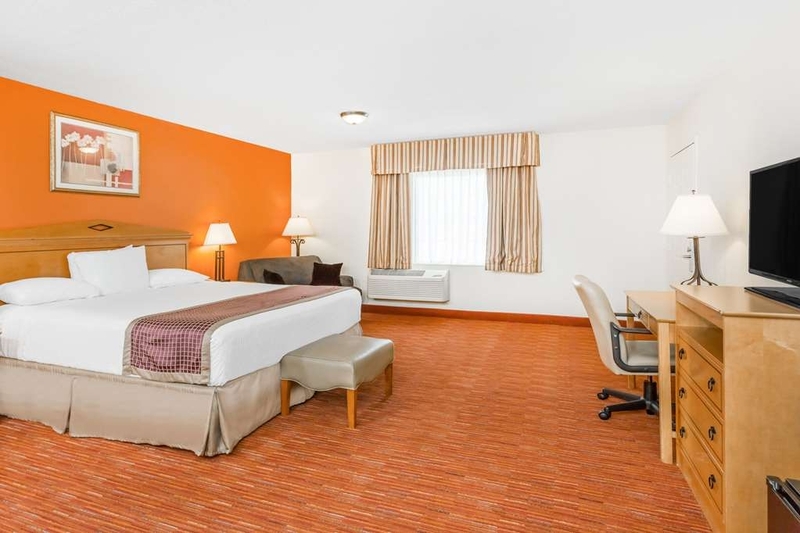 The room was clean, and what you would expect from a small Best Western. The breakfast area was small, but Clean and the food was good. Being back off the roadway, it was quiet and easy to get a night's sleep without a lot of truck and traffic noise. Beds were very comfortable. THE ONLY negative I have is that at the END of the driveway their SURE STAY sign is VERY LOW and blocks your view to the left as you attempt to pull out onto the HIGHWAY. You have to almost pull into the roadway to SEE to the left. IT IS A HAZARDOUS situation and should be corrected immediately before someone is SERIOUSLY injured. The sign could easily be raised 8-10 feet so that you could see UNDER it, and it would NOT deter anyone from seeing the sign from the roadway. Dear Keith, Thanks for contacting Trip Advisor concerning your stay at our hotel. We appreciate your comments and the suggestion you and I discussed when you were chcking out. I informed the owner and he is looking into it. ""AVOID THIS PLACE!!! Hostile Management!!"" I paid in advance for a room and when my wife and daughter arrived, they were informed that the pet fee was now $20 instead of $15. They plead the case with the manager for a few minutes because they did not have an extra $5. After they were unsuccessful, they went back to the car to try to dig up the extra $5. When they did, the manager refused them a room! He was hostile, threatening and demeaning toward these two women, and they felt in danger. Please do yourself a favor and stay elsewhere. "Last minute stop...ok but wouldn't return"
Motel is an older building that has been generally updated, but is not modern. They accept pets for a 20 dollar fee. Grounds are ok and clean. Beds are not very comfortable and there are minimal blankets for a cool evening. The price we paid was too high , should have used trip advisor. I used Best Western and it was 89. Trip advisor had a special at 63!!! Hotel wouldn't honor that after I requested a change. The place is ok but there are better places in town for the same or less money. Thank you for your comments. Usually a good idea to check prices before booking rooms. Then you can be sure of getting best price. After reading some of the reviews I expected this hotel to be better than 'average'. Furniture fairly worn looking. There was something that looked like straw around the base of the toilet - I didn't feel like investigating further to see what it was. Probably our biggest complaint was the thin walls. The man in the room next to us had whooping cough or something. He coughed a lot and it sounded like he was in our room. Also we heard lots of other thumps and bangs coming from other units and up on second floor. My husband said probably this is a fairly old building, built with wood framing instead of concrete block walls, which would have been better insulation and muffled the sounds. We stayed in the Baymont previously, would go back to the Baymont if in the area. Easy check in, coupon accepted.Room was very clean.Beds and pillows were great, nice free breakfast, fair price, updated tv, no bugs. Cookout Restaurant accross the street. Shoneys, Wendys.nearby What more could one want? Thanks so much for reviewing our property. Your comments and suggestions help us to improve our service. Great place, clean and easy access to 95. Looks like a southern home, great first impression. 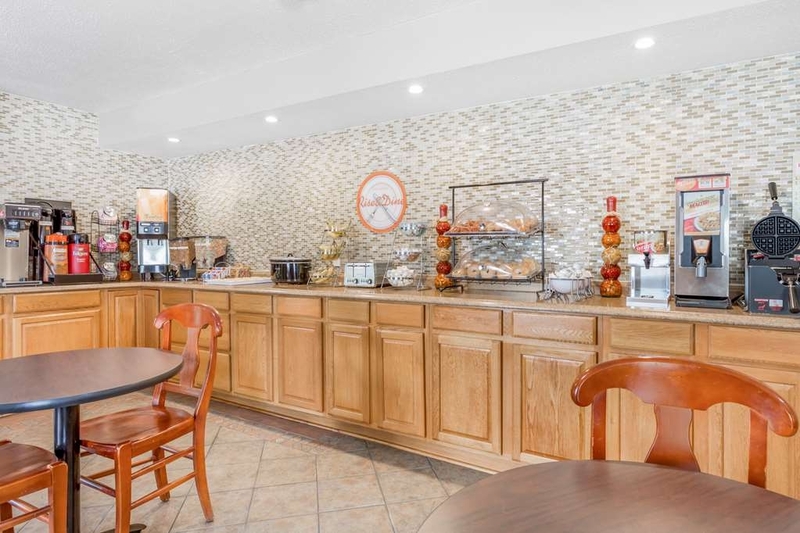 There is a mini refrigerator, microwave and coffee pot and coffee and tea in the room, however there is a great free breakfast and you can get those items there. There is cereal, homemade waffles, bagels, English muffins, fruit and lots more. You will not go away hungry. Bed comfy. Staff very friendly, will recommend. I have stayed at several of the hotels in Manning over the past year- I was pleasantly surprised with the Sure Stay Hotel. Denny and Harry are doing a wonderful job with this place. Abbie (CSR) was extremely friendly/knowledgeable upon check-in. Once arriving to the room-it was an added bonus to see the total mattress encasement. 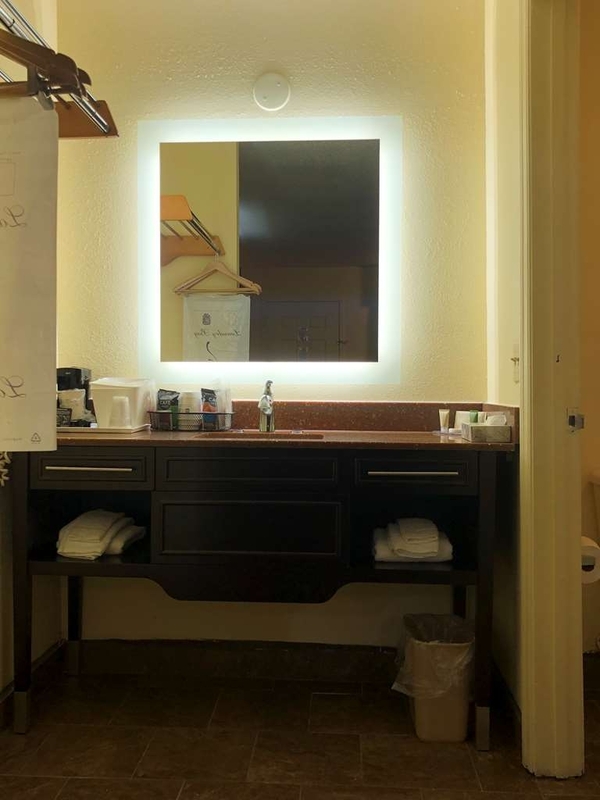 Since I worked many years in the hotel industry- I know what I need to do upon checking in to a hotel room :) The carpet was clean, good water pressure in the shower, bedding was clean, linen was clean and the right amount of towels, no problems with the WiFi, TV had a nice picture. You guys have done an excellent job with this hotel. Keep up the great work!!!! I travel up and down I-95 many times a year. I saw the advertisement for $59.00 per night and pulled in. The hotel was clean well taken care of , fresh and from my perspective one of the nicer affordable places to stay. Although, not a brand new building you could tell the care and many noticeable upgrades and amenities that other hotel do not have. Give it a try! "Great value with clean remodeled rooms"
We were pleasantly surprised with our visit to this motel. 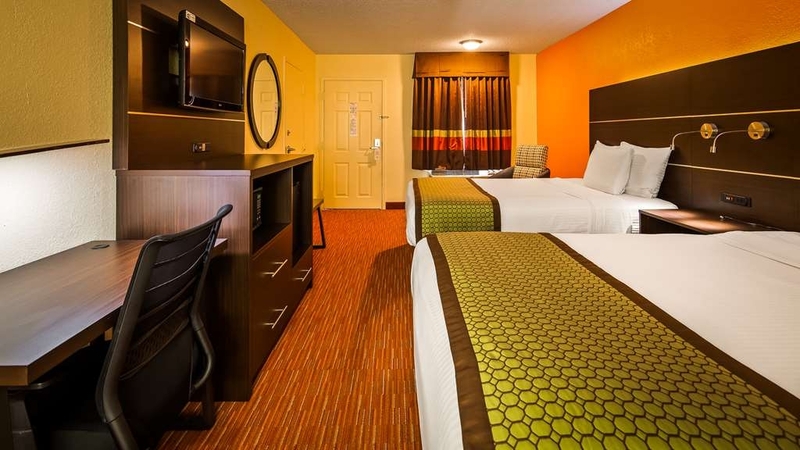 It was clean, comfortable and our room appeared newly remodeled. The front desk personal was friendly and very helpful. After arriving in our room, we were phoned within 10 minutes by the front desk to see if everything was to our satisfaction. That's what I call great customer service! The bed was comfortable, the bathroom clean and the shower had good pressure. It was a wonderful stay and we will be back! "Thanks for looking after the field trialers !" Great as always. I had to line up rooms for 8 out of town folks, and even with the hurricane bearing down , everything went smoothly.